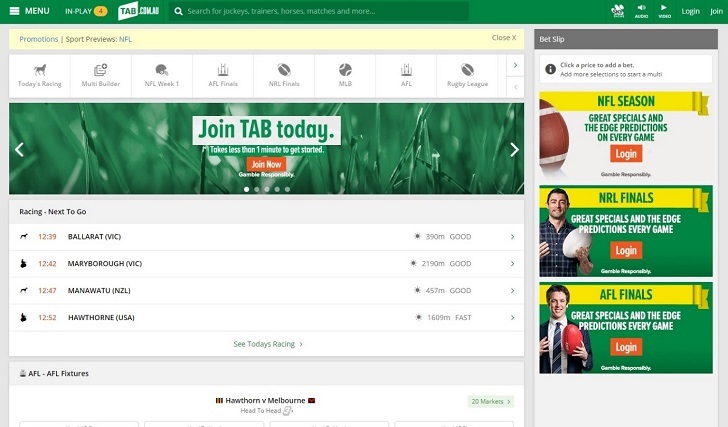 TAB are the pioneers of Australian sport and racing gambling and one of the world’s largest publicly listed gaming companies. Nearly every Aussie punter will be familiar with the famous TAB/UBET machines in venues scattered around Australia and their competitive online agency. We take a look at TAB’s history and the features of their website and app in our full TAB review below. Owned and operated by parent company Tabcorp Holdings, the conglomerate is responsible for a large portion of the Australian gambling industry including the TAB retail outlets, Sky Racing, Sky Sports Radio, UBET, Keno as well as Luxbet. As of 2018, TAB boast over 300,000 active customers betting through the internet and phone not to mention the massive amount of punters who place cash wagers in machines at venues throughout the country. TAB was established in Victoria in 1964 and after 30 years of trading they announced their first major public offering in 1994 and was listed on the ASX. Since then, Tabcorp has gone on to purchase a number of different gambling companies in various states as well as their licenses such as Star City Holdings, Jupiters Limited, Tab Limited and Keno to make them the largest gaming company in Australia. The TAB website itself underwent a major overhaul in 2012 and has since been updated regularly. It offers one of the smoother and more seamless betting experiences in the Australian market, utilising the flash-based website and a different layout to most other sites. Chances are you’ll be able to find what you need on the homepage of the TAB site. The detailed page features the upcoming races, featured sporting events of the day and upcoming week and the top menu panel is where you’ll find links to your account, in play betting Sky Racing video and Sky Racing audio. One of the great features of the TAB homepage is the search bar. It too can be found in the top menu bar of the page and allows customers to type in any key word of a jockey, trainer, horse, greyhound, sport or team and quickly find all the upcoming markets relating to that key word! This is a great feature if you’ve forgotten to place a bet and you only have a few minutes until your event kicks off. If you can’t find what you are looking for on the homepage or just want to browse the markets in general, then the full menu is what you’ll be looking for. Located in the top left-hand corner of the homepage, the menu is where you can find links to the full racing schedule of the day both in Australia and abroad, a full list of A-Z sports on offer as well as in play markets, multi builder, racing extras, results, my account, promotions, blog and help. 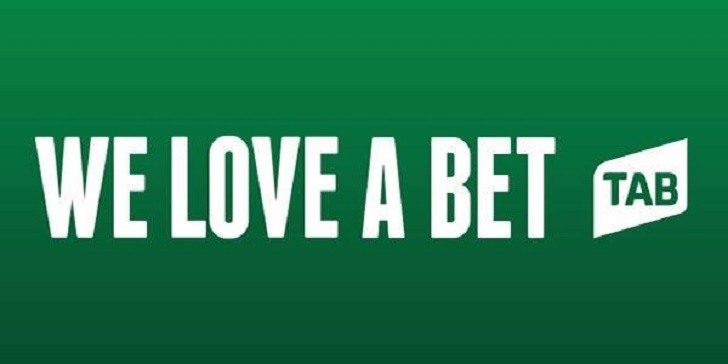 TAB is largely no frills-based betting, however, day to day promotions are a big part of their offerings. Promotions can be found in the menu and are always evolving. 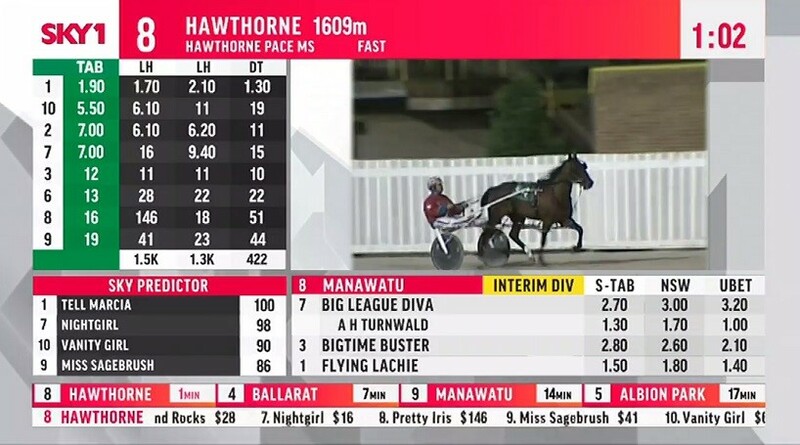 One of the major features that draws customers to TAB over anywhere else is their offering of live racing video as well as racing audio through Sky Racing. TAB users only need to have an account to take advantage of the live video and audio and can also stream a large number of sports straight through the website/app. TAB’s app is also extremely easy to use and one of the more fluid betting apps on the market. Some apps are very glitchy and tough to use like that of Unibet and Ladbrokes and this can at times be a massive factor when trying to quickly place a bet. There are none of these problems with TAB’s app.